My nails are so weak and breaking often, how do you get stronger nails? – I’m frequently asked this question. But even though now my nails look strong and grow fast now, it wasn’t always that way. There was a time when I wouldn’t have dared to take close up photographs of my nails as I do now. If you’re curious, here you can see my shorties from 2 years ago. But the more I got into nail art, the more I learned about how to look after them properly. Now I have a new problem, my nails are so strong, thick and grow so quickly we have to shorten them every week. Protect. It is ideal that you have a salon manicure done regularly but if you don’t, at least put a layer or two of nail strengthener or base coat to build up your nail’s resilience. It will protect them from external factors such as soap, water and UV rays. Use base coats/strengtheners that contain calcium and proteins to increase growth and thickness. It’s even better if nail treatments are 3- or 5-free! We particularly like Orly Nailtrition. File and Buff. Shorten and file your nails weekly to encourage healthy nail growth. Filing prevents further damage just like trimming your split ends. It also maintains a nice shape and prevents you from biting or touching damaged nails. When filing, remember to buff them lightly with a micro-fine buffer to smooth out the nail bed and remove any flaky bits. Don’t over buff though! If the nail surface isn’t perfectly even that’s fine. Too much buffing will thin and weaken your nails significantly. Moisturise. Just like your skin, your nails and cuticles need moisture daily. Your nail strength and health depends significantly on how healthy your cuticles are! We explain in great detail how to look after your cuticles in our Essential Cuticle Care Guide. Also, moisturize your hands daily with nourishing, high performance hand creams. Here’s our top 5. Prevention. Weak nails may also be the result of an injury or nail disease. The easiest way to prevent this is to wear protective gloves when you do house work and gardening and never use your nails as tools. They aren’t made of iron! Also, never pick your cuticles or tear a hangnail off as it may lead to a nail infection. Carefully cut hangnails with clippers instead. Supplement. 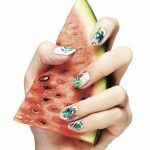 Having a good diet, rich in protein, calcium, zinc, iron and vitamins A, B, C, E and D is the best thing you can do for your nails. It will also nourish your hair and skin as well. However, sometimes it’s difficult to eat healthy all the time so take supplements as well. You can either take multi vitamins specifically formulated for women or vitamins for nails and hair. Biotin, Silica and Iron supplements can also be helpful. We have tried a few different brands and found that Blackmores and Swisse supplements were particularly effective. It’s often a matter of personal preference, so you should try a few different brands to find out which one suits you best. In general, you should be able to see results in the second or third week. So it is quite easy to get stronger nails but it does requires some discipline to turn the above into habit. Don’t expect any overnight transformations either. The effects of using nail strengtheners should kick in after 1-2 weeks with significant visible improvement after about 1 month. 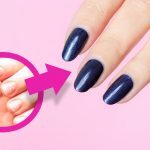 What are your tips for stronger nails? Share with us, we’d love to hear it! 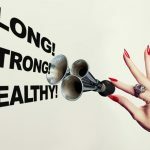 *There are some radical health conditions that may affect your nails health and strength dramatically. While the above steps can still help to improve overall nail appearance, they won’t be as effective as they could be in normal circumstances.